1) (co. Bedford, and Upton, co. Bucks). Barry of six az. and ar. three bucks’ heads cabossed or, on a chief of the third a wolf pass. gu. betw. two annulets sa. Crest—A wolf’s head ar. collared sa. studded or, betw. an acorn branch and a branch of fern ppr. 2) (co. Bucks; granted 1527). Same Arms. Crest: A wolf’s head couped ar. gorged with a collar sa. charged with three plates. 3) (Dean, co. Gloucester; granted 1420, temp. Henry V.). Ar. on three bars gu. as many bucks’ heads cabossed or, on a chief of the last a wolf pass. of the second fcetw. two pheons sa. Crest—A demi lion ramp. sa. holding a pheon or. 4) (Woodmarsh, co. Kent). Ar. a chev. sa. betw. three grasshoppers vert. Crest—A demi woman couped at the knees ppr. vested gu. hair dishevelled or, in the dexter hand a honeysuckle also ppr. stalked and leaved vert. 5) (London). Ar. on two bars az. three bucks’ heads cabossed or. Crest—On a ducal coronet or, a boar’s head couped ar. 6) (Hampstead, co. Middlesex, and co. Stafford; John Woodward, gent., of Hampstead, Visit. Middlesex, 1663, grandson of Thomas Woodward, of the town of Stafford). Barry of six or and sa. a canton gu. Crest—A tiger’s head erased ar. maned and tufted or. 7) (Avon Dassett, co. Warwick; granted by Cooke, Clarenceux, to John Woodward, of that place). (Butlers Marston, co. Warwick; confirmed by the Deputies of Camden, Clarenceux, to Thomas Woodward, of that place, grandson of Thomas Woodward, of same place). Az. a pale betw. two eagles displ. ar. Crest—On a ducal coronet or, a greyhound sejant ar. 8) (Little Walsingham, co. Norfolk; granted 5 March, 1806). Vert three mulberry leaves or. Crest—A buck’s head erased ppr. attired and charged on the neck with six billets or, holding in the mouth a mulberry leaf vert. 9) (Edward Woodward, Mayor of Oxford, 1490, owner of the inn called the “ King’s Head,” in the parish of St. Martin’s. Arms on a tomb in the wall of the parish church. Visit. Oxon, 1566). (Filltius, co. Oxford, and Abingdon, co. Berks; Thomas Woodward, gent., of Filkins, living at Visit. Oxon, 1574, was son and heir of Lionel Woodward, of Abingdon). Ar. a saltire az. betw. four woodpeckers ppr. 11) (Arley Castle, co. Stafford). Vert five oak leaves in saltire or. 12) (St. Edmundsbury, co. Suffolk). Or, on a bend cotised sa. three martlets ar. a border engr. az. 13) (Butlers Marston, Solihull, and Avon Dassett, co. Warwick; descended from John le Wodeward, Ranger of Arden Forest, early in the 15th century, whose grandson, John Wodeward, of Solihull, m. Petronella de Clinton, daughter and co-heiress of Thomas de Clinton, of Baddesley, of the younger line of the great house of Clinton, the senior line of which is now represented, through females, by the jyuke of Newcastle and Lord Clinton. Visit. Warwick, 1563). Az. a pale betw. two eagles displ. ar., quartering, Ar. on a chief az. two fleurs-de-lis or, for Clinton, of Baddesley; and Ar. three fleurs-de-lis betw. six crosslets fitchee sa., for St. Hillary, co. Warwick. Crest—On a ducal coronet or, a greyhound sejant ar. 14) (co. Worcester). Ar. on three bars gu. as many stags’ heads cabossed or, on a chief sa. a wolf pass. betw. two pheons of the third. Crest—A demi lion ramp. sa. holding betw. the paws a pheon or. 15) (Hopton Court, co. Salop). (Bristol, co. Gloucester). Barry of six or and sa. on a canton gu. a demi woodman with a club on his shoulder ppr. Crest—A squirrel sejant ppc. in the paws a nut or. Motto—Gardez bien. 16) (Newent, co. Gloucester). Ar. a pale engr. betw. two eagles displ. az. 17) Barry of four az. and ar. three bucks’ heads cabossed or, on a chief of the third a wolf pass. gu. betw. two annulets sa. Crest—A wolf’s head couped ar. collared sa. thereon three bezants betw. two branches of oak vert, fructed or. 18) Az. a fess betw. three wood pigeons (or martlets) ar. 19) Ar. a chev. gu. betw. three delves of the second. 20) Az. a chev. engr. erm. betw. three fleurs-de-lis ar. 21) Vert three holly leaves or. 22) Vert five holly leaves in saltire ar. 23) (Essex). Ar. on a bend cotised sa. three martlets of the field, a border engr. az. This popular last name originated in medieval times as an occupational name denoting a person who was a forester employed to look after the trees and game (deer, rabbits, etc.) in a particular forest, derived from the Olde English word wudu, meaning wood, and weard, meaning protector or guardian. The modern-day equivalent would be something along the lines of a park ranger. However, the woodward of the Middle Ages in Europe was protecting the King’s forest from poachers and hence was a well-respected position. One author described the position as follows: “An officer of the forest, whose charge is to look after the woods and vert there; his very name denotes his office; he must present all offences within his charge at the court of attachments, or swain-mote, to the chief foresters or verderers; and if he see or know any malefactors, or if he shall find any deer killed or hurt, he must acquaint a verderer thereof, and present the same at the next court of the forest. And by the law he must not walk with bow and arrows, but with a forest-bill or hatchet”. Some come claim the name is Anglo-Saxon in origin. Others claim it came from Normandy, France during William the Conqueror’s invasion of England in 1066 AD. Others claim they descended from Vikings who raided the coasts of the British Isles in the 800s AD. It is said the family first established itself in Essex, England where a man named Commander Wadard was granted lands for fighting with King William at the Battle of Hastings. It is claimed Wadard helped organize the army at Saint Valery in preparation for the invasion, and that he advised William of the Saxon King Harold’s approach. From him descended Henry and Simon Wadard who were lords of manors in Essex in 1278 AD. Spelling or names with similar etymologies include Wudeward, Woodwards, Woodard, Wadard, Wodeward, Wodewarde, Woddeword, and Woodwoard. The first known bearers of this surname was Sewhal le Wudeward who was documented in the Pipe Rolls of Hampshire in 1208 AD. Ralph de Wodeward was recorded in the Pipe Rolls of Hertfordshire in 1230 AD. Roger le Wodeward was documented in England sometime between 1216-1307 AD. The Hundred Rolls of 1273 AD, a census of Wales and England, known in Latin as Rotuli Hundredorum lists two bearers of this surname: Aylward le Wodeward (Essex) and Adam le Wodeward (Oxfordshire). Elias le Wudeward was recorded in Lancashire in the Assize Rolls in 1246 AD. Richard le Wodeward was recorded in Sussex in 1292 AD. William le Wodewarde was recorded in Somerset around 1327 AD. The Poll Tax Rolls of Yorkshire in 1379 AD also list one bearer: Johannes Woddeword. The last name Woodward ranks 875th popularity in the United Status as of the 2000 Census. The name ranks particularly high in the following four states: Wyoming (319th), New Hampshire (369th), Nevada (401st), and Nebraska (436th). The surname Woodward frequency/commonness ranks as follows in the British Isles: England (243rd), Scotland (1,554th), Wales (250th), Ireland (4,561st) and Northern Ireland (2,274th). In England, it ranks highest in counties Cheshire, Derbyshire, Nottinghamshire, and Warwickshire. In Scotland, the surname ranks highest in Highland. In Ireland, it ranks highest in Connaught. In Wales, it ranks highest in Blaenau Gwent. The name is also present throughout the remainder English speaking world: Canada (1,510th), New Zealand (481st), Australia (488th), and South Africa (9,429th). In his 1890 book, Homes of Family Names in Great Britain, Henry Brougham Guppy, states the following in regard to this last name: “This ancient name is mostly confined to the midlands, being best represented in Worcestershire, Derbyshire, and also, but to a less extent, in most of the counties adjacent to them. It is absent or rare in southern England, south of a line joining the mouths of the Thames and the Severn; and it is similarly infrequent or not permanently established in northern England, north of Yorkshire. The Woodwards, or “forest – keepers,” the Wodewards of the Hundred Rolls, were, in the reign of Edward I., numerous in Essex and Oxfordshire, where the surname still remains, and they were also at that time represented in Bucks”. 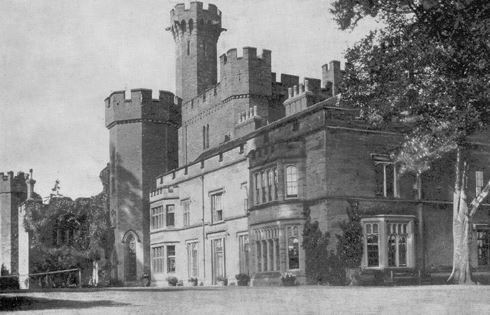 Robert Woodward was an Esquire of Arley Castle, county Stafford, and The Manor House, Birlingham, Pershore, county Worcester, and a Justice of the Peace born in 1801. In 1839, he married Mary, daughter of William Hall Esq. of Ryall’s Court, and had issue with her as follows: 1) Robert (M.A. of Exeter College Oxford, Barrister-at-Law, Justice of the Peace, married Mary Jane Turner in 1874, had children named Robert, Mary Ophelia, and Katharine Isabel), 2) Reverend William Alexander (married Mar Cecilia FitzHerbert of Warsop in 1860, had issue named Helen Mary, Ethel Cecilia, Winifred Grace, and Averil Alexandra), 3) Alfred (Lieutenant of the 12th Regiment), 4) Chares James (married Isabella Stewart), 5) Reverend Herbert Hall (M.A. Corpus Christi College Oxon), and 6) Edith Mary. He was the son of William Woodward Esq. of Manor House, Birlingham, co. Worcester and Mary Smith. He was the grandson of William Woodward Esq. His brothers and sisters include: 1) William (married and had three sons and three daughters), 2) Thomas (married twice and had three sons and one daughter), 3) Francis (married twice, had three sons and two daughters), 4) Joseph (married and had two sons and five daughters), 5) George (had one son), and 6) Mary. The Woodward coat of arms for this branch of the Woodward family tree is blazoned in the medieval European art of heraldry as follows: Vert, five oak-leaves in saltire or. Crest: A dexter arm embowed in armor holding a falchion all proper. The Woodward genealogy of this branch of the family tree begins with a family seated at Shavington, parish of Standish, county Lancaster, England, c. 1531 AD. 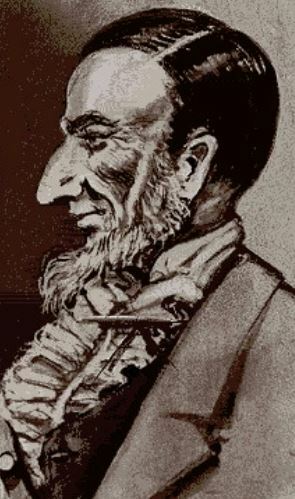 Augustine Woodward was baptized in Standish Church and became a merchant in Liverpool, England. In 1714, he married Mary, daughter of C. Beeley of Cheadle and had three daughters and sons named Augustine, Alexander, Thomas, and Samuel. His son, Augustine Woodward of Liverpool, was born in 1725. He married Sarah, daughter of Richard Golightly Esq. 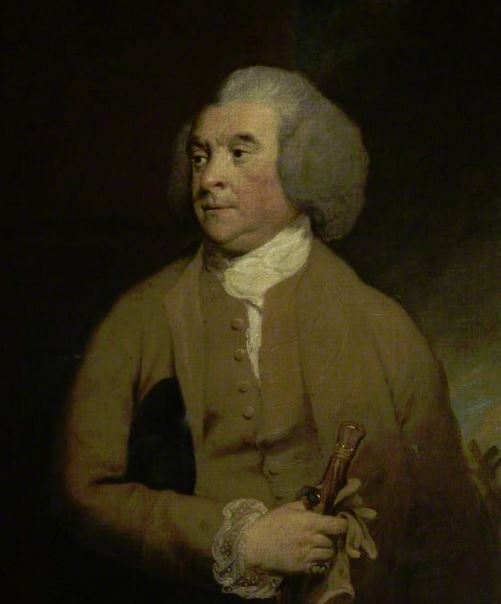 of Liverpool, and had issue with her as follows: 1) Richard (married Margaret Hayward of Whitchurch, had issue), 2) Thomas (discussed below), 3) Alexander (in 1788, married Catherine …verend, had issue), 4) Augustine (married Mary Elizabeth, daughter of George Panter Esq. of Brisol, had issue), 5) Sarah, 6) Margaret, 7) Sarah, and two others. His second son, Thomas Woodward, of Her Majesty’s Customs, was born in 1764. 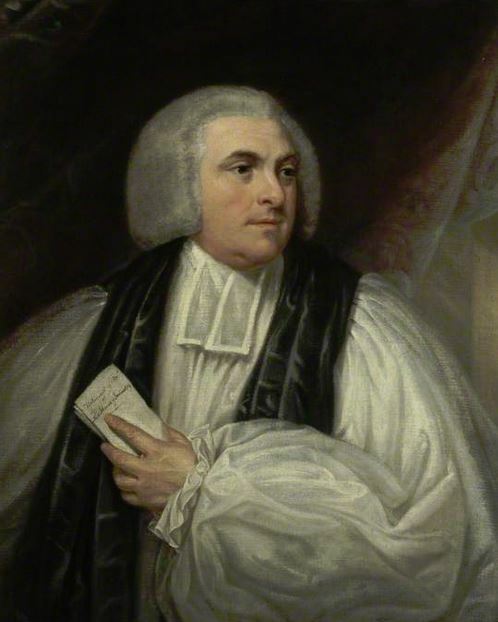 In 1803, he married Sarah, daughter of William Skel…, and had issue with her as follows: 1) Augustine Samuel (married Elizabeth Clough, had issue), 2)William Skelhorne, 3) Reverend Thomas (discussed below), 4) William Skelhorne, 5) Reverend Alexander (A.M. St. Cath Coll. Cambridge, sometimes Rector of Hopton Waters), 6) Sarah (married Samuel Clough Esq. of Liverpool, had issue), 7) Margaret, and 8) Mary. The second son, Reverend Thomas Woodward, of St. John’s Coll. Cambridge, Rector of Hopton Wafers, and Justice of the Peace, was born in 1808. In 1835, he married Anne, daughter of Samuel Clough of Liverpool, and had issue as follows: Thomas (discussed below), Reverend Samuel (Rector of Hopton Wafers, in 1872, married Ellen Mary Pardoe of Purslow Hall), Robert (served in the Royal Navy, married Mary Catherine Boxer of Jamaica, had sons named Robert Stopford and Walter Egerton), William, Charles (married Maria, daughter of J. Craddock, Esq. of New Zealand), Arthur, Anne Augusta, Lucy (married Reverend Alfred James, Rector of Burwarton), and Elizabeth. The eldest son, Thomas Woodward was an Esquire of Hopton Court and a Justice of the Peace born in 1836. In 1864, he married Mary, daughter of Reverend Ambrose Goode of Terrington. The Woodward family crest is blazoned as follows: Barry of six or and sable on a canton gules a demi-wood-man with a club on his shoulders proper. Crest: A squirrel sejant proper in the paws a nut or. Motto: Gardez bien. This family was seated at Hopton Court, Cleobury-Mortimer, Salop. Reverend Charles Woodward married, in 1764, Esther Wade and had a son with her named Henry. Henry Woodward, Esquire of Drumbarrow, married, in 1800, Sarah Catherine, daughter of Robert Wade of Clonabraney, and had issue with her as follows: Robert (discussed below), Henry Thomas (married Esther Woodward and had two sons and three daughters), William Edward (married Mary Jane Mayo and had one son and five daughters), and Susanna-Maria (married Robert Battersby, Esq., M.D.). The successor of the family was the son Robert. Robert Woodward, Esquire of Drumbarrow, county Meath, Ireland, was born in 1805. The family motto is Virtus semper valet. The family was seated at Drumbarrow, county Meath, Ireland. 1) George “Samuel” Woodward was born in Ipswich, Suffolk, England in 1619. He went to colonial America with his father. He married twice: Mary, daughter of Joseph Gibson, and Elizabeth, daughter of Nathaniel Hammond. He was the father of the following children: Mary, Sarah, Amos, Captain John Woodward Sr., Susanna, Daniel, Mercy, Elizabeth, George II, Thomas, Nathaniel, and Sarah. His son, Captain John Woodward Sr. was born in Watertown, Massachusetts in 1649. He had the following issue: Ebenezer, John, Richard, Rebecca, Susanna, Daniel, Rebecca, Mary, Johnathon, John IV, Joseph, Abigail, John, and Benoni. 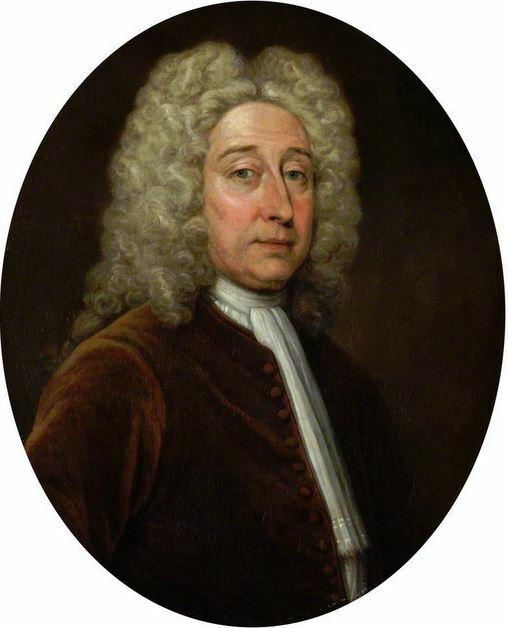 2) John Woodward Sr. was born in Ipswich, Suffolk, England in 1619. He went to colonial America with his father. He married twice: Mary, daughter of Thomas White, and Abigail, daughter of John Benjamin. He was the father of the following children: Hannah, Rose, Abigail, and John Jr. His son John Woodward Jr. was born in Sudbury, Massachusetts in 1661. He married Susannah, daughter of Captain John Grout Jr., and had two sons with her: John III and Daniel. 2) George Woodward of Upton, Bucks, gentleman, agift at London 26 April 1527 by Wriothesley, Gart., and Benolte. My name is Bruce Woodward and my Grandfather, Horace Guy Woodward obtained an illustration of our coat of arms from the College of Heraldry in London at the beginning of the 20th Century. It is unlike any that I’ve seen online. It actually looks like a real coat of arms. The motto on it reads, “Del Amico Libertas”. God, friendship, and liberty. It has two black “bastards bars” and two blue bars for trips to the Crusades. Also, a greyhound at the top and 3 ravens. My Grandfather was a minister and I don’t think he’d have saved the coat if arms if be didn’t think it was real.